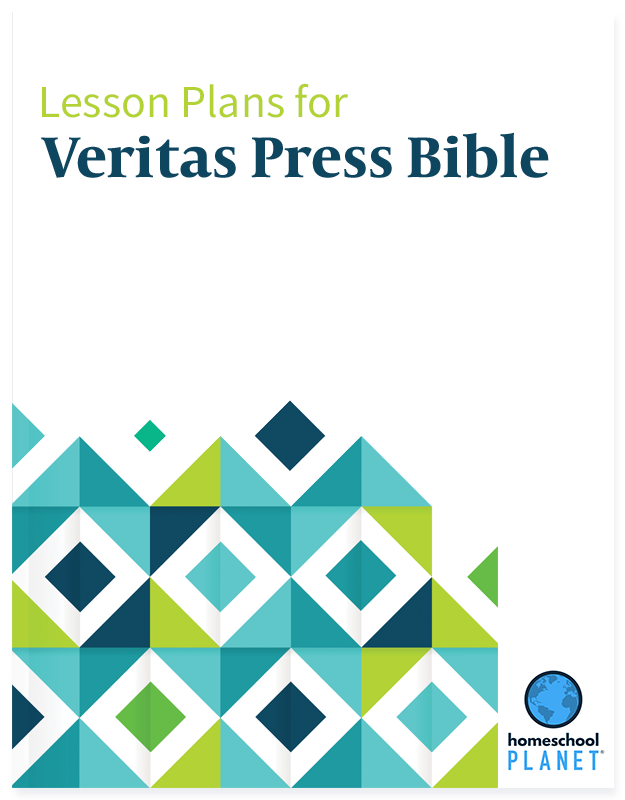 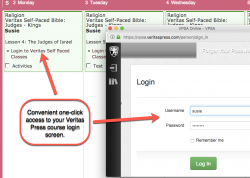 Take full advantage of your Veritas Press Self Paced Bible courses with the official, Veritas-approved lesson plans for use with your Homeschool Planet subscription. 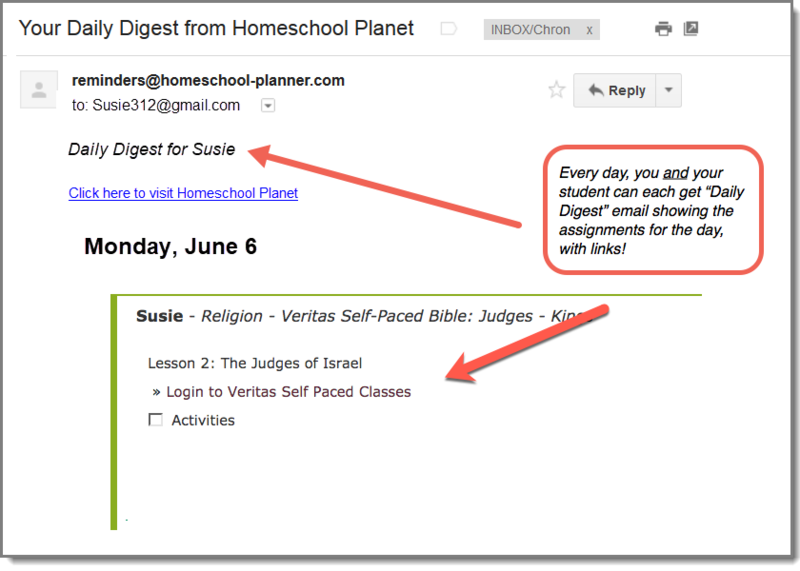 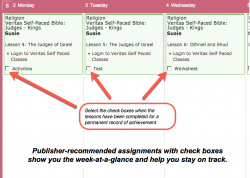 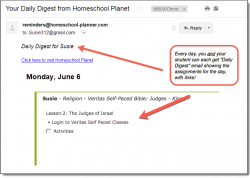 Each lesson plan lays out the publisher's recommended course of study in Homeschool Planet, giving you and your student a convenient way to track progress, record grades and attendance, and more. 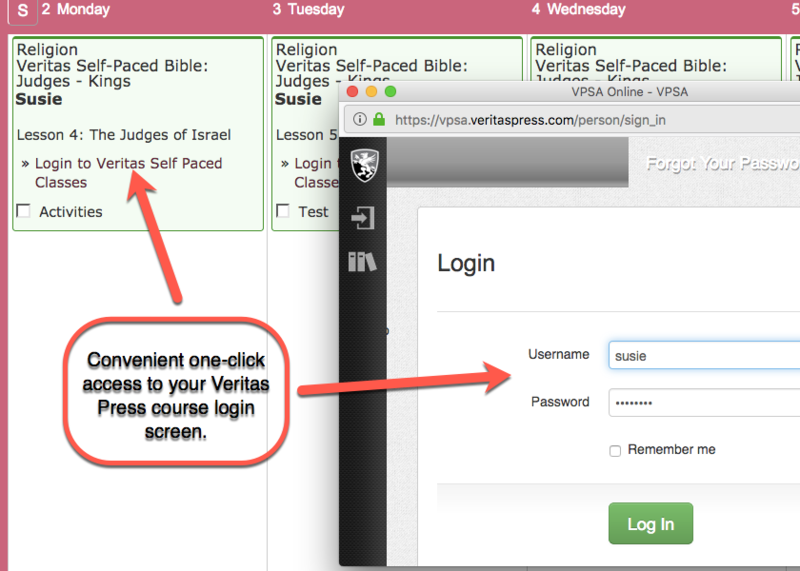 32 weeks of assignments (for each lesson plan), with a convenient link to the website login for your online class. 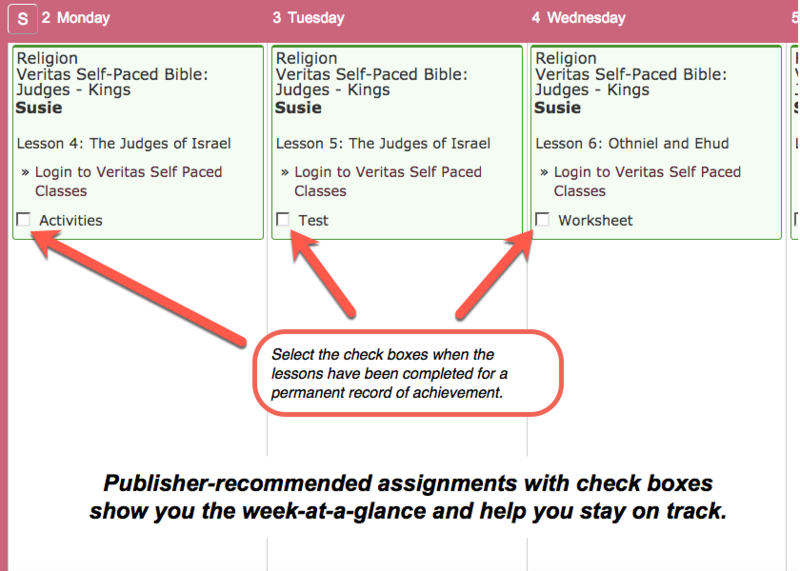 Bundle includes ALL 3 lesson plans.